Does Your Restaurant Need a LinkedIn Page? Here Are the Pros and Cons. 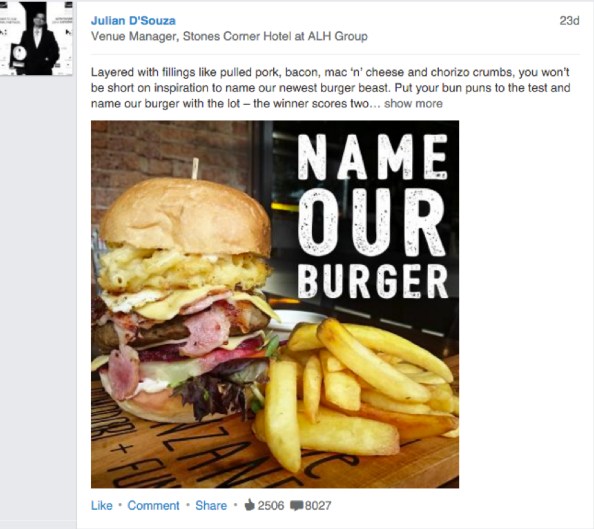 When considering which social networks to use in order to promote your restaurant, LinkedIn might not initially come to mind. However, this platform can have a number of great benefits, some of which might just surprise you! Who could you connect with? LinkedIn offers a varied audience for your restaurant business. You can connect and interact with anyone from restaurant critics, who you may encourage to come and pay you a visit, to top level chefs who you want to come and join your team. There are also the likes of potential new suppliers, entertainers and business executives who you can encourage to hold breakfast meetings and lunches in your restaurant. How to make it work…. LinkedIn loves to share content rich news, which makes it a great platform to promote your blog posts, daily specials on the menu and other news from your industry too. With easy sharing tools, you can simply and effectively share any news you find online to your LinkedIn newsfeed. Visual content is also hugely popular and will have much more of an impact than solely content based posts. If your head chef has created an incredible dish, make sure you let people know about it by sharing the picture of it across your social media profiles. To get discussions going, ask questions of your network to get their input in how you do something, what they think to your specials or to name a dish that you have been experimenting with. If you want people to start commenting on and engaging with the posts you put out there, you need to do some leg work initially by doing the same. Take some time to skim through your newsfeed, exploring what your network is talking about before liking, commenting and starting a conversation with others. Again, if you want your network to grow, you are going to have to do some work to make it happen. Unless you put some effort into connecting with other users, your network is never going to grow and develop, so look out for any potential partners, people of interest and possible future employees in your network and through the recommendations LinkedIn automatically presents to you. If you find someone of interest, you can send them a personal message to start the conversation or ask for an introduction from a shared connection if you have one. Get involved with groups to start discussions, and don’t just stick to restaurant or food based groups. If you create discussions yourself in these groups, make sure they are of value, create intrigue around your business and entice them into finding out more. Don’t forget to also encourage your employees to have LinkedIn accounts to so they can assist with your marketing efforts by sharing content and also getting involved in discussions. Make sure they list your restaurant as their place of employment too as this will also organically expand your reach. 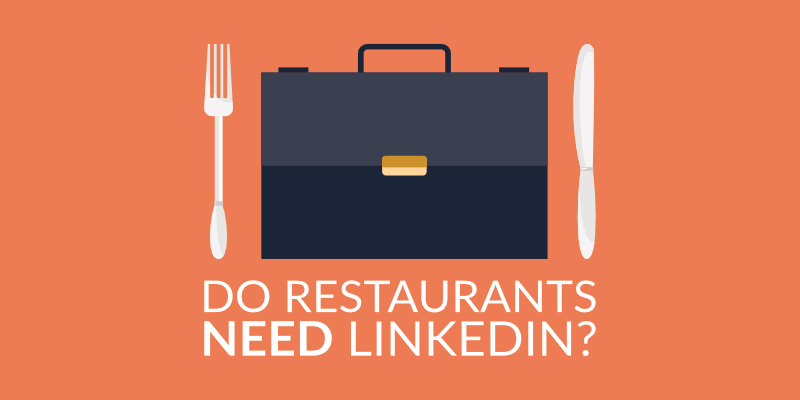 If you have a vacancy in your restaurant, utilise LinkedIn to showcase this. You can advertise these positions free of charge and attract the right people into your business. Additionally, if you come across someone on LinkedIn who you think could be an asset to your business, don’t be afraid to connect with them to see if they’d be interesting in finding out more about your restaurant and what you could offer them as an employer. If you’ve got a big event on the horizon, are opening up a new restaurant in your chain, have agreed a new financial partnership or have any other positive news to share about your company, announce it on your newsfeed with a link to a press release about the story. By doing the groundwork to build your network, you’ll soon have users interested in what you have to say and commenting on any news that you put out there. Should you start having some success on the platform through organic means, there is also the option to advertise on LinkedIn. LinkedIn Ads can be highly targeted to reach potential business partners, new investors or possible sponsors for an upcoming event you are hosting. You could also attempt to target those who may be looking for venue hire for parties around the Christmas season or even those planning weddings and looking for a pre-wedding dinner celebration. To make sure you reach the right people, you can segment your ads by the likes of industry, size of company, location and title plus much more. Whilst LinkedIn might not generate huge online bookings for your restaurant, it is a great tool for building your reputation within an industry, engaging with professionals in your field and connecting with those who could add something to your business. By working hard at it, you can create a very loyal following as well as a buzz about your restaurant, increased visibility of what you are attempting to create day in and day out in your business and perhaps some outside investment too!